Proventure is delighted to have launched the new app “cyrcla” on the App Store this week. A personal networking/basic CRM designed to support individuals in developing better relationships, cyrcla provides measures and analysis of the ever so important quality aspect of relationships and influence. Here’s a link to it – www.cyrcla.com. It’s free. Feel free to share with anyone you think might want to use it who has lots of work related relationships and are always juggling time and effort to manage them effectively, plus gain some analysis of their relationships. 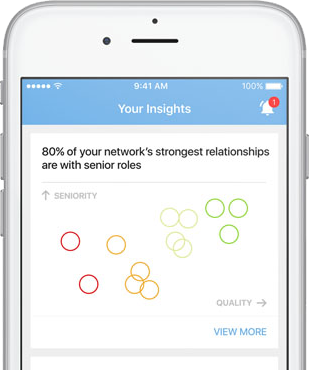 We think the analysis will help people decide how they best invest in their circles of influence and get best return. cyrcla is Apple only for now, android is next. The next version will be an organisational one that will aggregate data confidentially, to enable a detailed analysis of relationships internally and externally. The current free one has some good analysis though with more features to come for the individual user. All data is private and confidential. We have no access to it. Other users cannot see what you are doing, your private notes or who you are linked to unlike LinkedIn. So go ahead and download it. It’s really simple, intuitive and essentially enables visualisation of our networks more easily. cyrcla is on Twitter for news and updates.